Satisfy your appetite at the hotel's coffee shop/café, or stay in and take advantage of the 24-hour room service. Wrap up your day with a drink at the bar/lounge. A complimentary continental breakfast is served daily from 7:30 AM to 10 AM. Enjoy a meal at Bridge, or stay in and take advantage of the hotel's room service (during limited hours). Wrap up your day with a drink at the bar/lounge. A complimentary buffet breakfast is served daily from 7 AM to 10 AM. Enjoy a meal at Marfa Restaurant, or stay in and take advantage of the hotel's 24-hour room service. Wrap up your day with a drink at the bar/lounge. A complimentary continental breakfast is served daily. Stay in one of 28 guestrooms featuring LED televisions. Wireless Internet access (surcharge) is available to keep you connected. Bathrooms have complimentary toiletries and hair dryers. Conveniences include coffee/tea makers and complimentary bottled water, and housekeeping is provided daily. Stay in one of 27 guestrooms featuring LED televisions. Complimentary wireless Internet access keeps you connected, and digital programming is available for your entertainment. Private bathrooms with showers feature complimentary toiletries and slippers. Conveniences include phones, as well as desks and separate sitting areas. 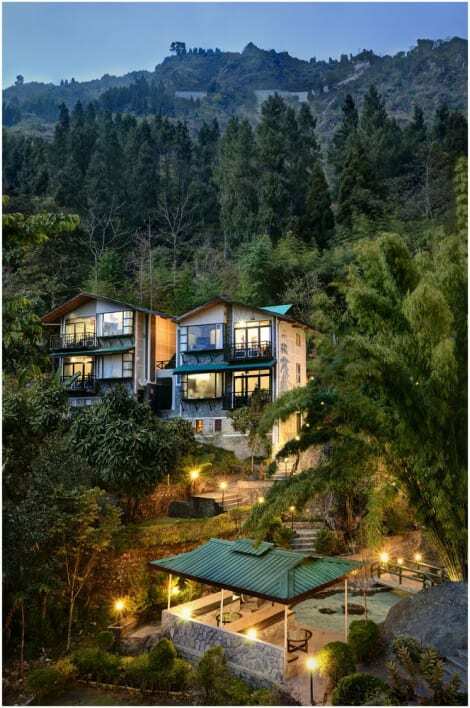 A stay at LA Ttakshang Residency Hotel & Spa places you in the heart of Gangtok, steps from MG Marg Market and 6 minutes by foot from Banjhakri Falls. This spa hotel is 0.6 mi (1 km) from Royal Palace and 1.6 mi (2.5 km) from Enchey Monastery. Stay in one of 27 guestrooms featuring flat-screen televisions. Complimentary wired and wireless Internet access keeps you connected, and cable programming provides entertainment. Private bathrooms with showers feature complimentary toiletries and bathrobes. Conveniences include safes and desks, and housekeeping is provided daily. Satisfy your appetite with international cuisine at Mayal, one of the hotel's 2 restaurants. Wrap up your day with a drink at the bar/lounge. A complimentary continental breakfast is included. Enjoy a meal at Orchid or snacks in the coffee shop/café. The hotel also offers 24-hour room service. Relax with a refreshing drink at one of the 3 bars/lounges. Buffet breakfasts are available daily from 7:30 AM to 10:30 AM for a fee. 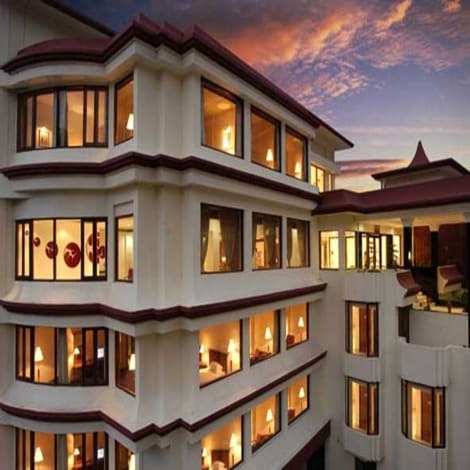 lastminute.com has a fantastic range of hotels in Gangtok, with everything from cheap hotels to luxurious five star accommodation available. We like to live up to our last minute name so remember you can book any one of our excellent Gangtok hotels up until midnight and stay the same night.